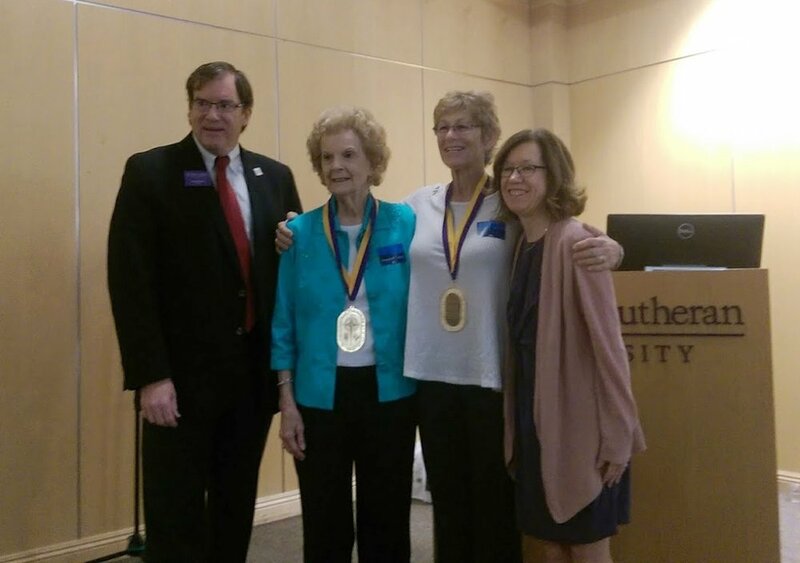 November 5, 2016: Our director, Nancy Young, received the California Lutheran University Medal of Honor from the President, Chris Kimball for her services promoting the arts and learning. And a big THANK YOU for all you do with our the community! Posted on December 8, 2016 by Cordelia Miller and tagged Art Trek CLU President's Medal of Honor Cal Lutheran University.